You would be looking for information on how to pass the PMP exam. This post goes beyond that. In this post Nitin Khanna shares his tips, tricks and methodology on how to study for PMP exam and pass. Nitin recently passed the exam with Above Target score and shared his experience on Linkedin. I requested him to republish his experience on this blog and he readily agreed. I wish him good luck for future endeavors. Next words are from Nitin. Hello Everyone, I passed the PMP exam in March 2018, and I wanted to thank all the members of this group for their valuable inputs that helped me to achieve this title. Before I forget, I want to pass along some simple but powerful tips to others who are planning for the exam. 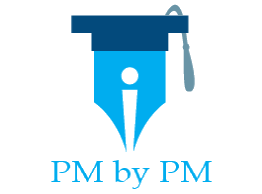 How To Study For PMP Exam And Pass? Believe in yourself, that’s the first thing. Submit your application as the first step don’t study first and submit the application later. You want to study with free mind.!!! Take 2-3 Months to prepare, rushing through material won’t help in the exam. The exam is definitely tough and tricky but with solid preparation, you will able to crack it. I Joined Izenbridge and watched Saket Bansal videos, His videos are very very helpful. Please watch. Download Ricardo Vargas Process Flow diagram. Believe me, you will be very happy with that flow. I didn’t need to memorize which process belongs to which Process group. Stick to limited resources. I followed PMBOK and Rita. PMBOK primary and Rita for reference for HR, Quality and Procurement chapter. Do quality questions, Enbridge/Rita/Scordo/PM Exam Simulator/PM study. Download PMP Exam mentor App, that was handy during my studies for quick look up. Do first pass of PMBOK without worrying about anything. Just do one round and then in 2nd pass start understanding the concepts. Exam hardly has few direct questions. Formulas don’t need to use much. All understanding of SPI/CPI is required. Hope that will help.!! If anyone has any specific questions please feel free to contact. What is your study approach for the exam? Do you agree with the 11 points shared by Nitin will be effective? What other things are you doing? Please share your thoughts on how to study for PMP exam and pass with above target score. Which Is The Best PMP Online Courses? Why Should You Buy Paid Mock Tests? How To Pass PMP In First Try?